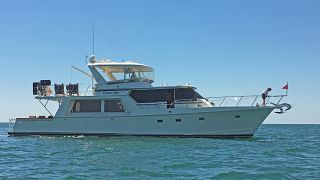 LUKE BROWN YACHTS - BOB OFFER - REPORTING: YACHT SALES ARE STRONG! 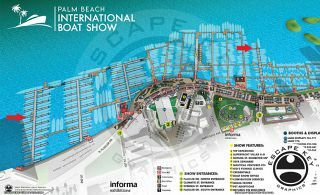 The Miami Boat Show proved that highly refined production yacht builders are dominating the market! 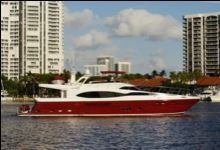 The industry has grown with highly sophisticated, highly engineered very detailed balanced construction yachts dominating the scene. 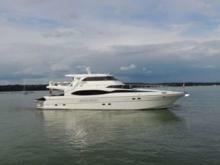 Builders like Ferretti, the new Azimut, Viking and Benetti yachts (http://www.benettiyachts.it/) ((http://www.princessyachts.com/) are taking the day and the Boat Shows! 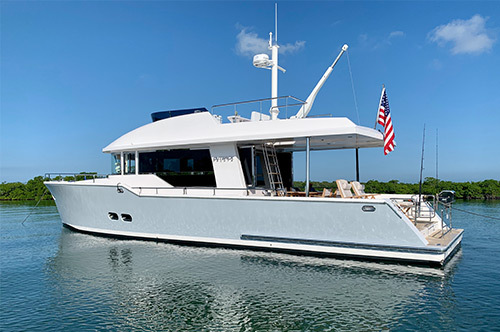 In Mid-February Luke Brown Yachts featured BINA, a custom finished Dyna in the MIAMI BOAT SHOW. 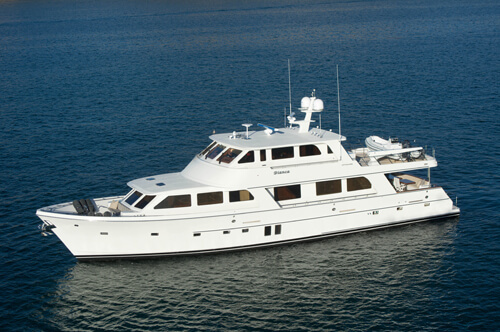 “Bina” represents this new breed of yacht builders. 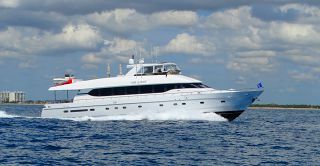 A 79’ 2007 Dyna “Bina” A modern motor yacht features an upgraded common rail, hugely efficient engines, 4 staterooms in the owner’s party, two separate complete crew cabins, each sleeping two. 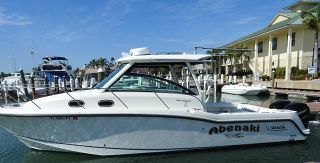 She also has a customized PLC that literally allows you to run the entire inside electronics, such as air conditioning, window blinds, doors, TVs, etc., with a touch screen. It can even be done from your iPad if you have the right app. The list goes on and on. 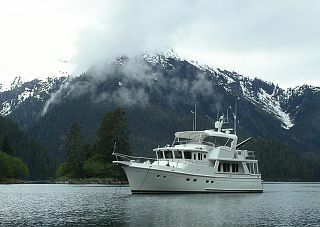 Click the link below for complete specifications (http://www.lukebrownyachts.com/bina-dyna-motor-yacht/). 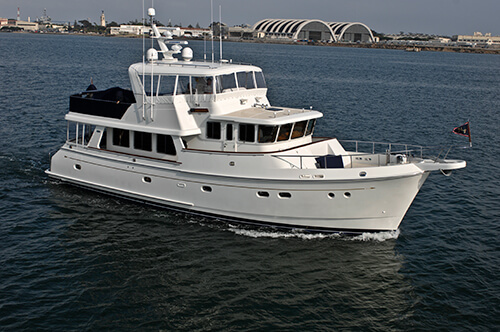 We are also, pleased to offer the 77’ Pilothouse version of the Dyna 4 stateroom Motor Yacht, NO BOUYS. 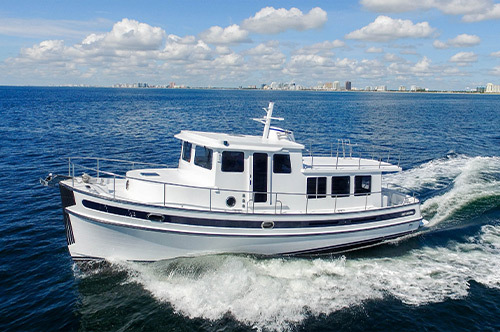 This classic fresh water yacht is beautiful, well built, and offers strong performance. She will be making her way down south in March, so if you would like to see her in your neighborhood please do not hesitate to give us a call. 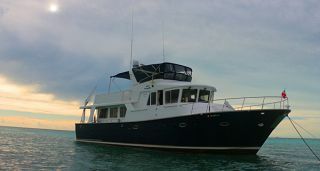 For more information and complete specifications, click on the link below (http://www.lukebrownyachts.com/no-bouys-dyna-motor-yacht/). 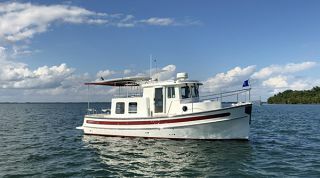 If you would like to know more, please feel free to give us a call, and explore our website, our NEWS articles, and our PREMIER boats at www.lukebrown.com . Our staff has over 30 years of experience and proven integrity that you can trust! 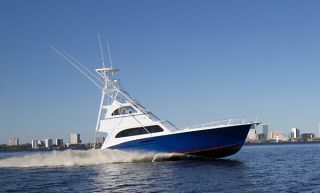 Invest your time and energy with brokers that know boats and put your interest first! Luke Brown – EXPERIENCE MATTERS!